D.E.A. stands for Dead End Alliance. It was a group from the neighborhood of Dead End on the south side of Houston, TX. The members are DJ Screw, Kay-K and brothers Fat Pat and Hawk. This album was released in 1998 on Dead End Records. 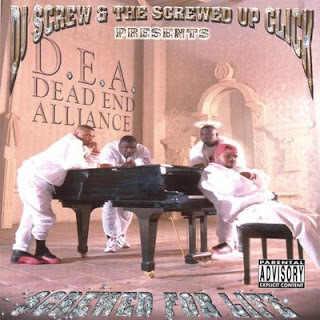 Production was done by DJ Screw, Koldjak, D-Red of the Botany Boys, Slash, Grim and Swift. The beats are flawless and have hints of G-Funk in them. They are also very smooth and relaxing for the most part. The lyrics range from dope street rhymes to laid back flows. Featuring on the album are members of the Screwed Up Click like Lil' Keke, Big Pokey, Mike D, E.S.G., 3-2, Big Moe and C-Note of the Botany Boys. This is a very laid back record which has the ability to ride itself out. Also this album is dedicated in the loving memory of Mr. Fat Pat. Though this was the group's only album, a chopped & screwed version was also released. D.E.A. and the S.U.C. 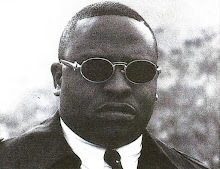 eventually fell apart after the deaths of Fat Pat, DJ Screw, Hawk and Big Moe. Rest in peace to all the fallen soldiers of the legendary Screwed Up Click.